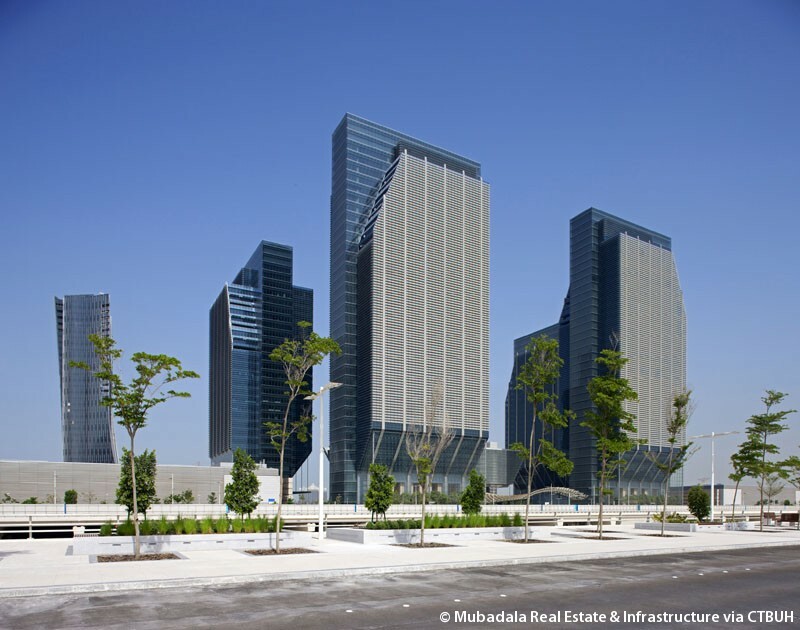 • Peer Review Environmental Systems Design, Inc.
Abu Dhabi Global Market Square is a major new commercial development on Abu Dhabi’s Al Maryah Island. 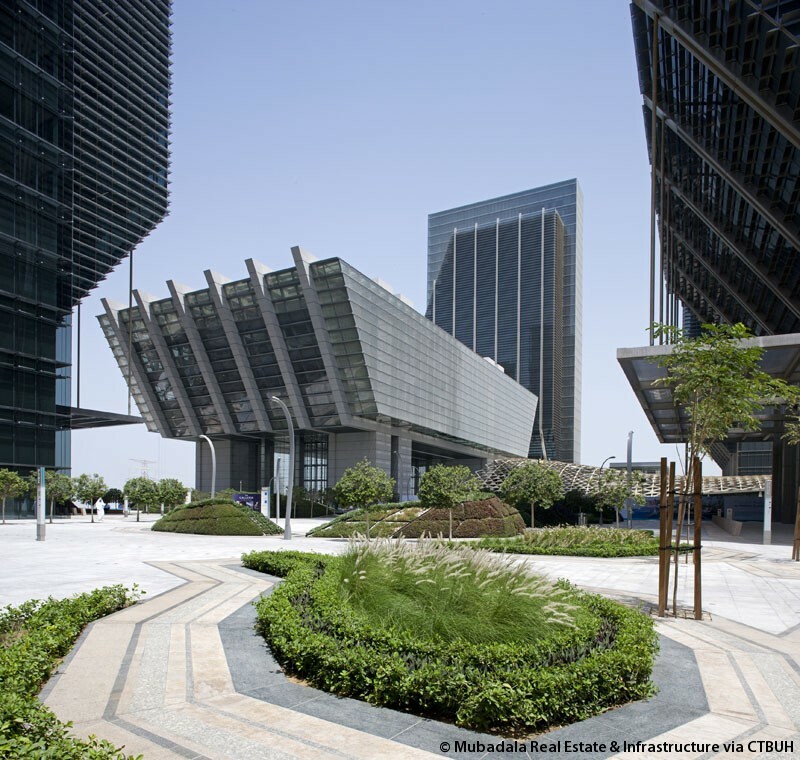 The city’s new urban framework plan, entitled Plan Abu Dhabi 2030, has designated the previously undeveloped island and the adjacent edges of Mina Zayed and Reem Island as the city’s new Central Business District. 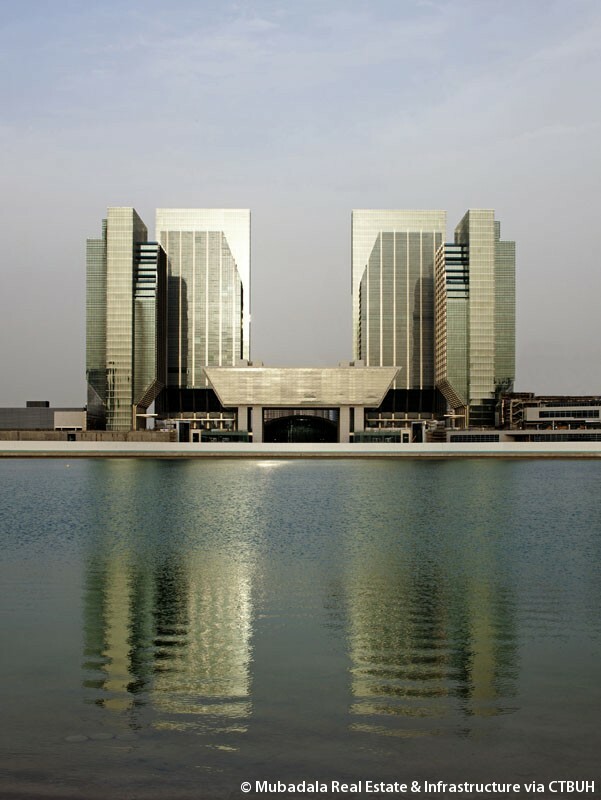 The project totals over 290,000 square meters of office space and features the iconic new headquarters building for the Abu Dhabi Securities Exchange, surrounded by four office towers, all overlooking the water. In addition, the project integrates two levels of retail and two parking structures. 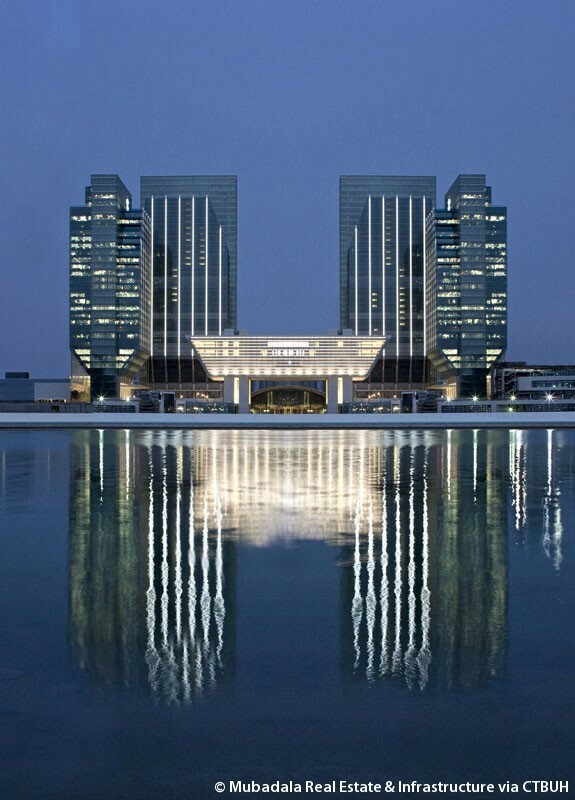 The centerpiece of the development’s first phase is the business center, which includes a stock exchange building, four Class-A office towers and 23,220 square meters of retail. The stock exchange building is an iconic, four-level facility. Glass-enclosed with a roof the size of a football field. The four granite piers house the stairs, mechanical risers and service elements for the exchange. Four office towers frame the stock exchange building. The first full office floor of each building provides a transparent, open lobby and elevating the views on all tenant floors. A landscaped plaza connects the four buildings and the exchange. Beneath the plaza, a two-story retail podium weaves through the development, providing upscale shopping along the waterfront. At the north and south boundaries of the site, two parking structures, partially submerged, serve the complex with more than 2,400 parking spaces each. 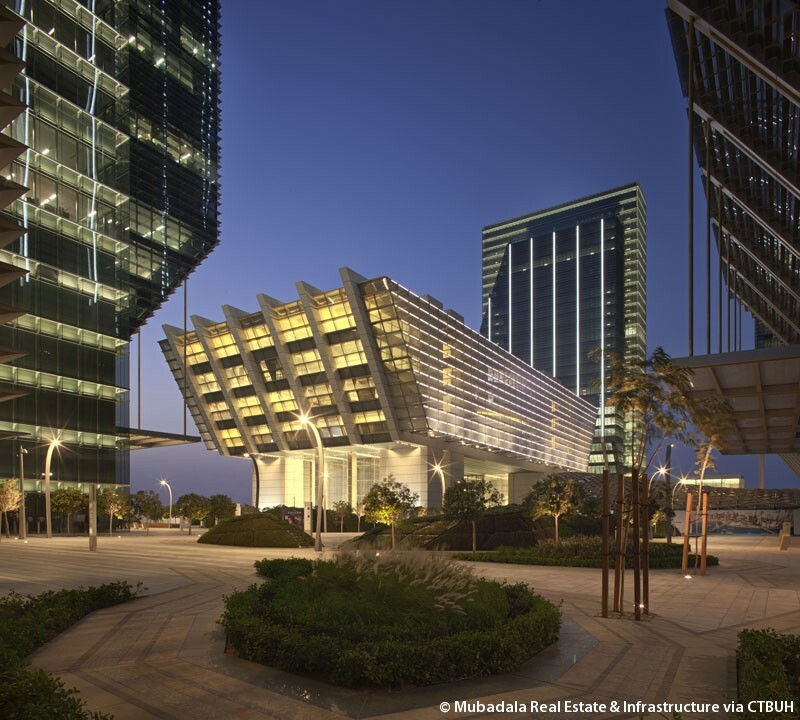 Abu Dhabi Global Market Square is the first mixed-use project in Abu Dhabi to be pre-certified LEED-CS Gold based on sustainable initiatives. 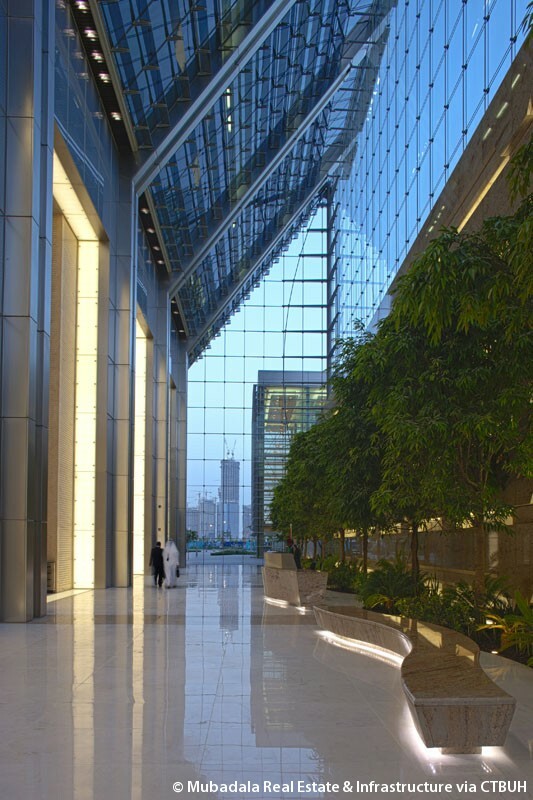 However, the complex looks beyond the LEED certification process to emphasize a sustainable design approach throughout, integrating both active and passive sustainable design strategies. The complex emphasizes a sustainable design approach throughout, and looks beyond the LEED certification process to integrate both active and passive sustainable design strategies. The environmentally responsive enclosure system uses a mechanically ventilated cavity and a double-skin façade system over large portions of the office buildings. These elements mitigate the 40 ºF (4.44 º C ) interior/exterior temperature differential and protect building occupants from the intense sand storms and constant corrosive mist of the neighboring Gulf coast. 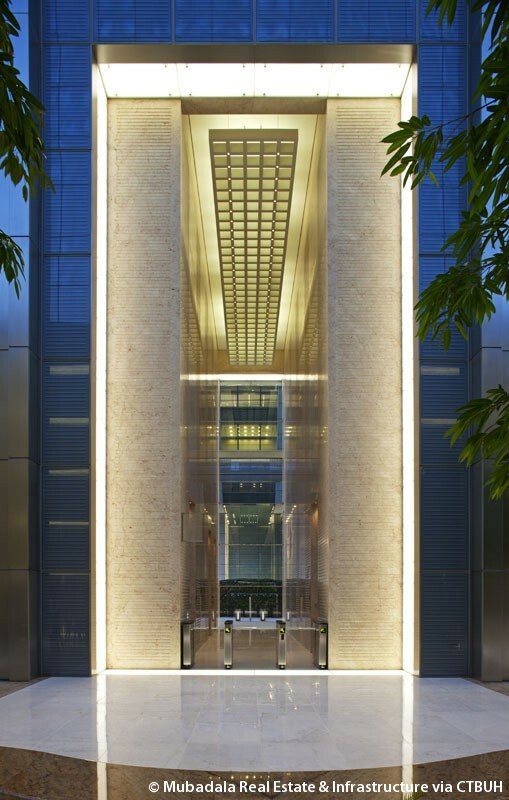 The double-skin cavities run uninterrupted along the entire height of the four office towers, starting from the fourth floor and extending to the penthouse mechanical floors. Within these cavities, active solar shades continuously track and adjust for the sun angle in order to provide optimal shading to the building’s interior. The cavity is sealed to protect the gears from airborne particulates. 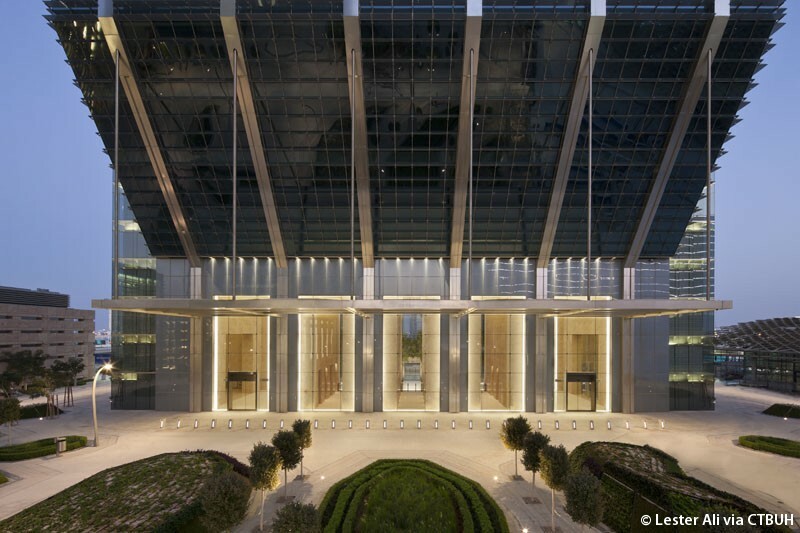 Active solar shading and glass selection keep the cavity from increasing the internal radiant temperature. To minimize the amount of solar energy penetrating the outer layer of the double-skin system, an outboard fin with a very high shading coefficient (76 percent) was selected. 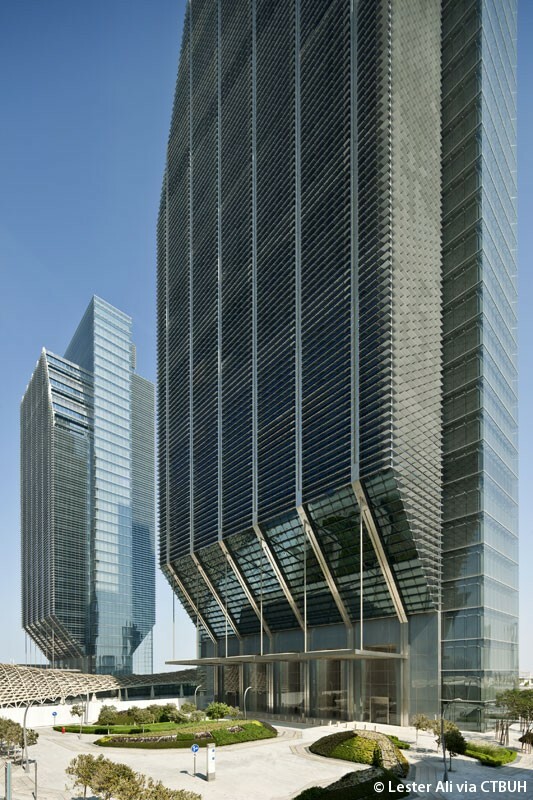 The remaining energy was then blocked from reaching the inner façade by the active shading; however, its presence contributed to an elevated air temperature within the double-skin cavity. To alleviate the accelerated temperature and achieve the moderating air buffer, the warm cavity air needed to be flushed out using an air source cooler than the natural air temperature. 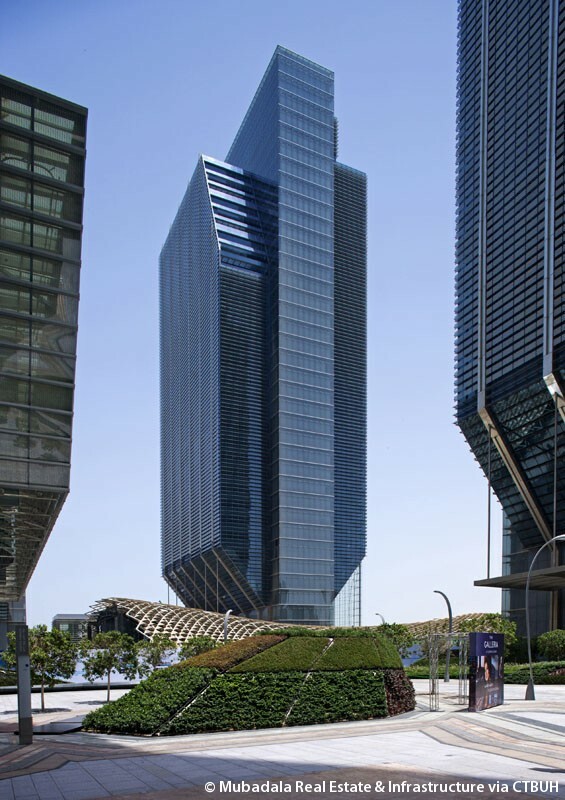 The solution was to collect the exhaust air from the tower offices and, instead of allowing it to escape into the atmosphere, redirect it back down the double-skin cavities, where it is exhausted at the fourth-floor mechanical level. Sensors within the cavities modulate dampers at the top of the building, directing the air to the optimal zones of the cavity depending on the time of day and outdoor temperature. Additional dampers will allow filtered exterior air to enter directly into the cavity during economizing periods such as night and winter, when the outdoor air is cooler than the collected exhaust air. Through these efforts, the design team expects the double-skin cavity to be an average temperature of 89 ºF (31.7 ºC) when the exterior temperature reaches 115 ºF (46.1ºC) . This condition will allow the high U-value of the insulated inner glazing to more easily block the air cavity’s radiating energy. 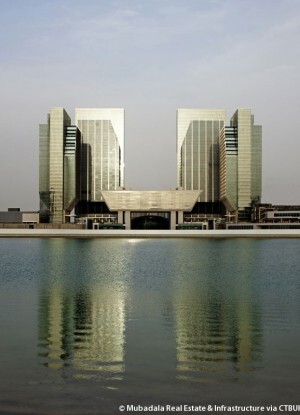 Most importantly, calculations estimate that the double-skin system designed for Abu Dhabi Global Market Square will generate a savings of 7200 kWh of electricity per day across all four towers and provide a more comfortable thermal environment near the perimeter wall, all while protecting itself from the harsh external elements.